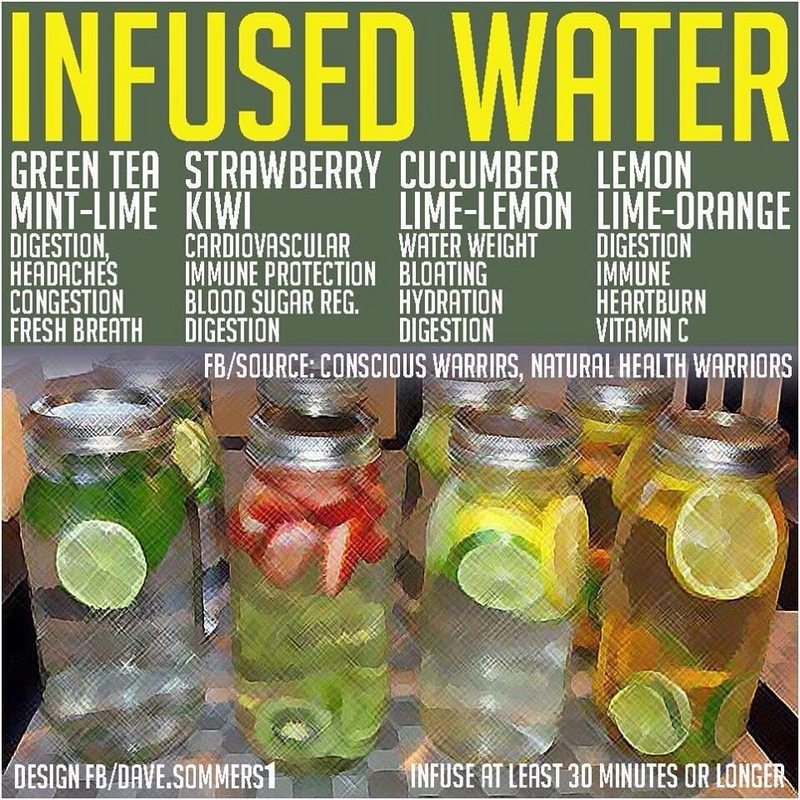 I bet some of you have seen my pictures of Infused Water in Facebook and Instagram. I’ve been trying drinking it about two weeks. Since then, it really works! I lose one kilo after drinking it daily for one week. 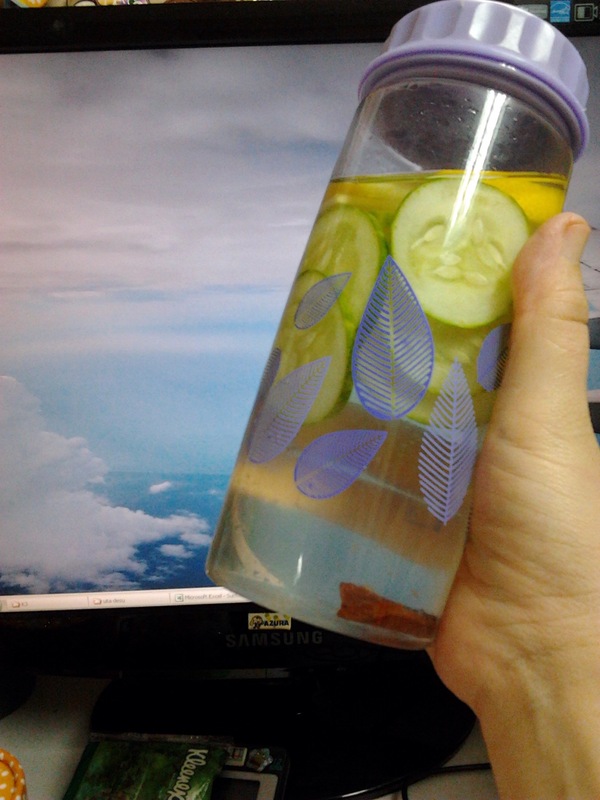 The above picture is the mixture of Lemon, Cucumber and Cinnamon. Cinnamon is good for athritis person, like me. Most of the times I made this. 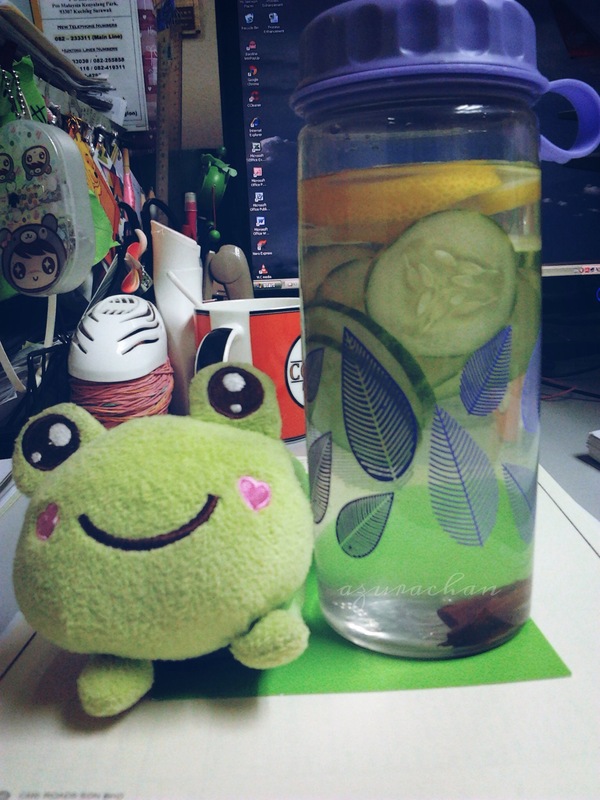 Lemon, Cucumber and Lime. This is good if you have problem with water weight, bloating, hydration and digestion. I’m one of the many people who have these kind of symptoms. Therefore, I focused on these three best friends. A lemon infused water is the easiest and the most refreshing to make, lemons are a natural slimming aid and cleanser the liver. The lemons release the flavours immediately. 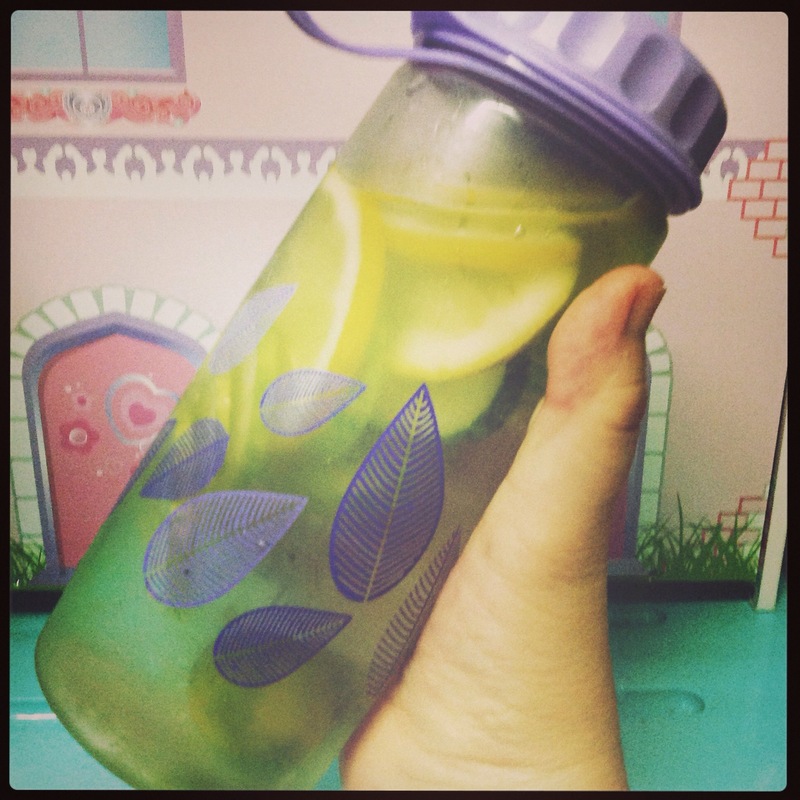 Here, I’m sharing with you some other flavours and benefits from drinking infused water. Easy, right? Why not produce your own infused water? Finally I’ve managed to fill the month with stitching for the Small SAL. I mean, really stitch a bigger size than my previous work. Lol. Tada! My blooming irises! Got this kit from my aunt when I was visiting her in KL last month. 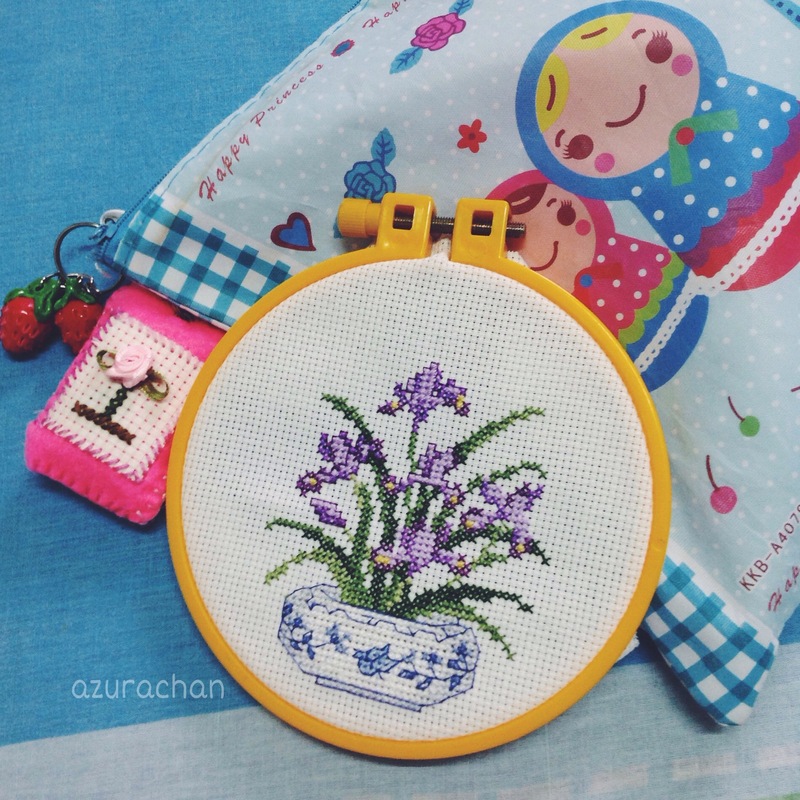 It is so lovely, compared to the cross stitch kit that can be found in Kuching. How I wish to buy so many quality cross stitch kits, not bothering on the expensive price. Please visit to the Small SAL link to see other participants’ stitch project. Till then.. bye! They comes in a box, with 10 patches inside. 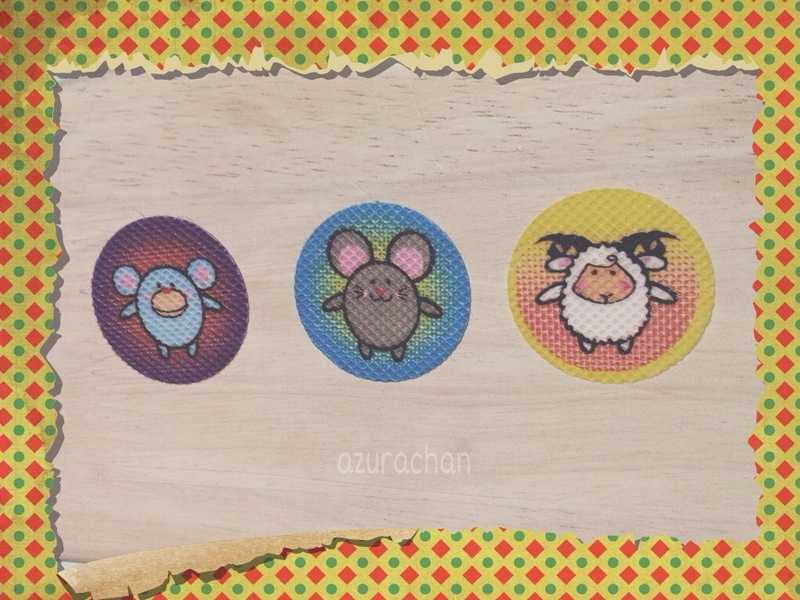 Each of the patch has a protective film. Just peel off the film, and then attach to a location close to our body. It can be attached to the inside of your trouser/skirt, shirt, socks or even at the edge of a bed. It is safe for infants and kids! Amani is a very ‘mosquito friendly’ (lol!). Thanks to these fancy patches that I can bring anywhere. I brought this along during our vacation in Peninsular Malaysia before. No more worry of the mosquitoe bites anymore. Today is the fifth day I’ve been quarantine from going outside. 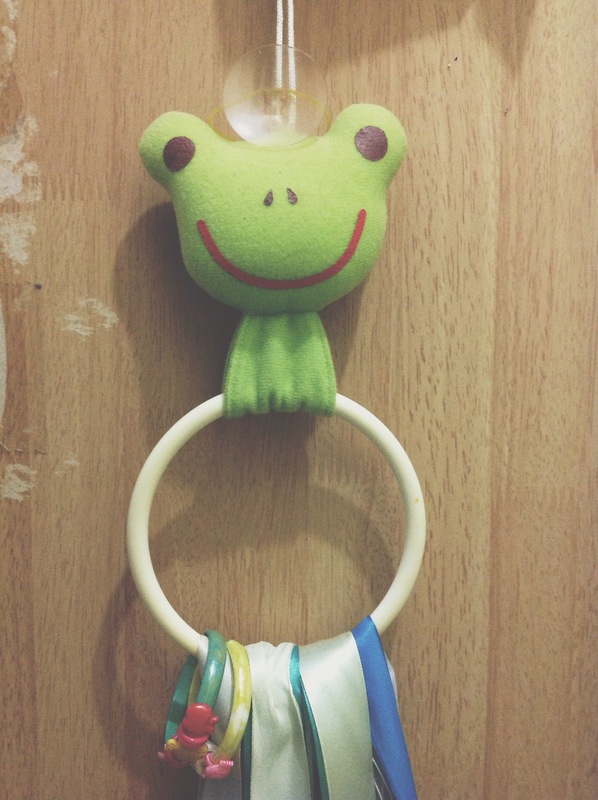 Sometimes, I feel like taking a confinement leave. Lol! Now, the problem (To me, it’s more like a problem… hehe) is that both of us got bored. 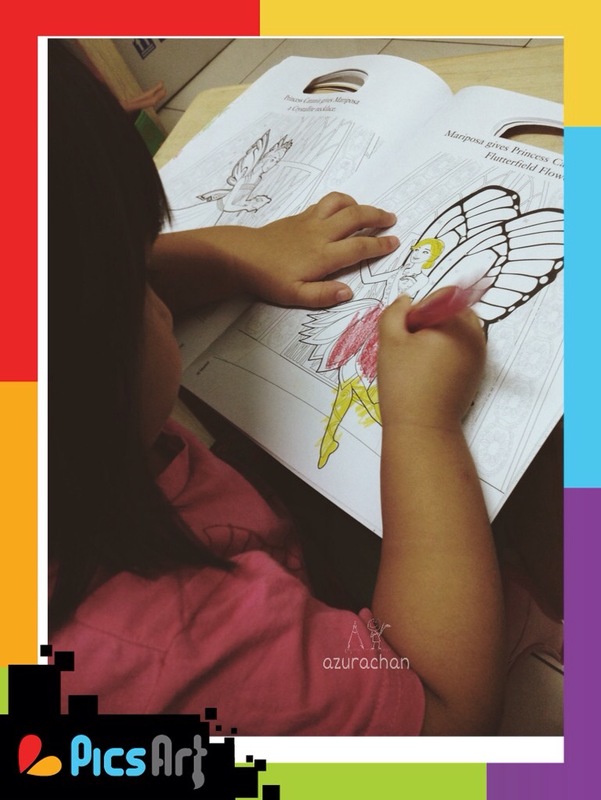 Locked in the house, day til night… I think I have remembered al the lines in Amani’s cartoons. Lol! 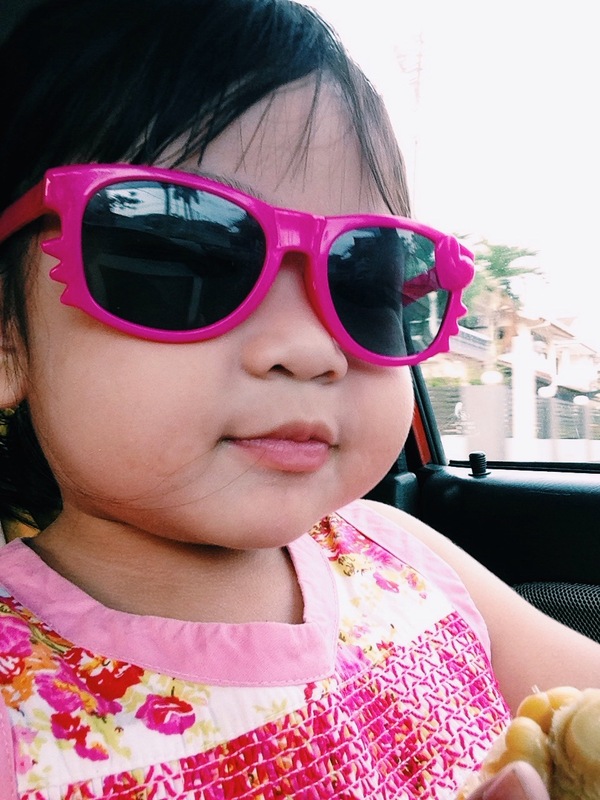 Well, since she was so active eventhough she is sick, I tried to give her some exercise. 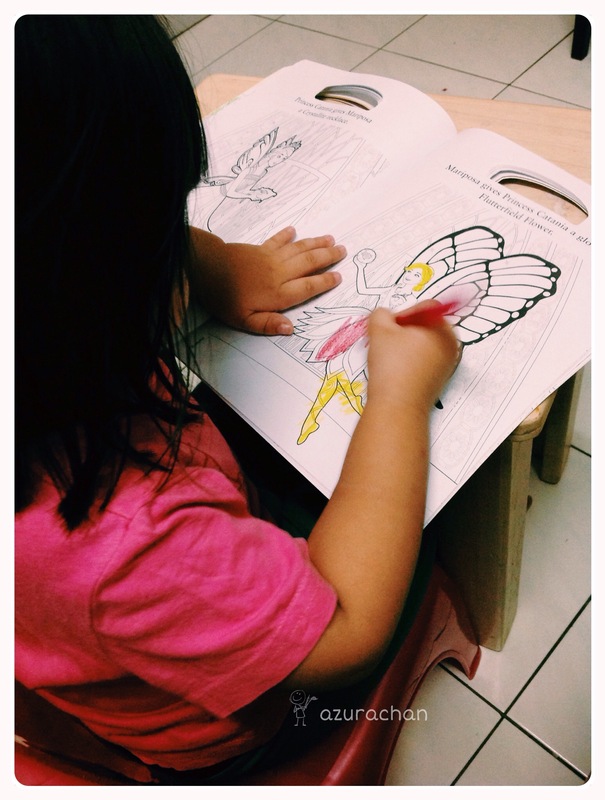 Kind of a homeschooling activity. Therefore, she wouldn’t get bored as well. Now, another problem face by Mama. She is craving to go shopping! Lol! Hello everyone! I hope you you have a fine weekend. Do you prefer buying books from online or browsing through the contents at the bookstore? If I have to choose either one, I will prefer buying from online shop. I found that, the online shops always offer great price. Much more cheaper than the bookstore. Therefore I found one website that sells book online. 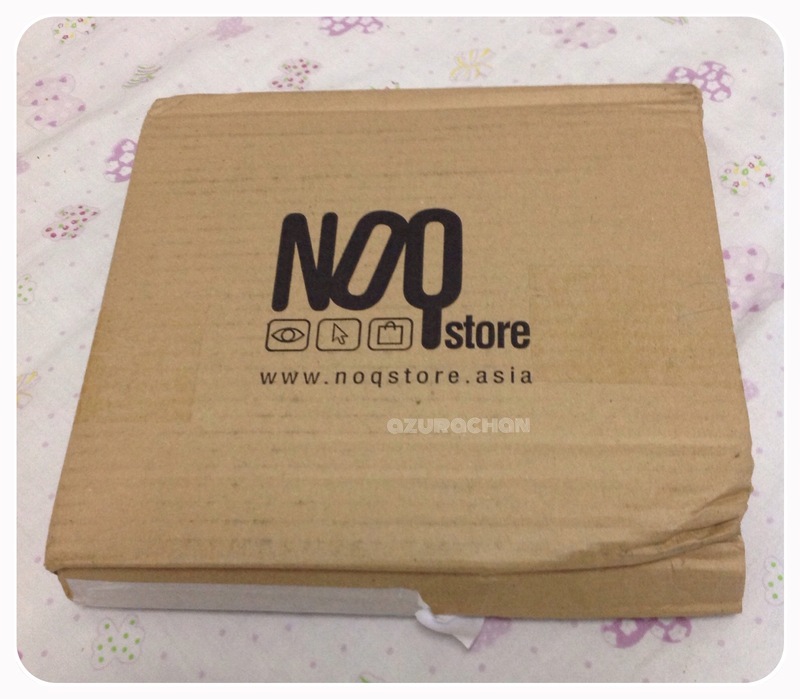 NoQ – Online Bookstore. There were various types of book including children books. So let’s see what I got from the store. 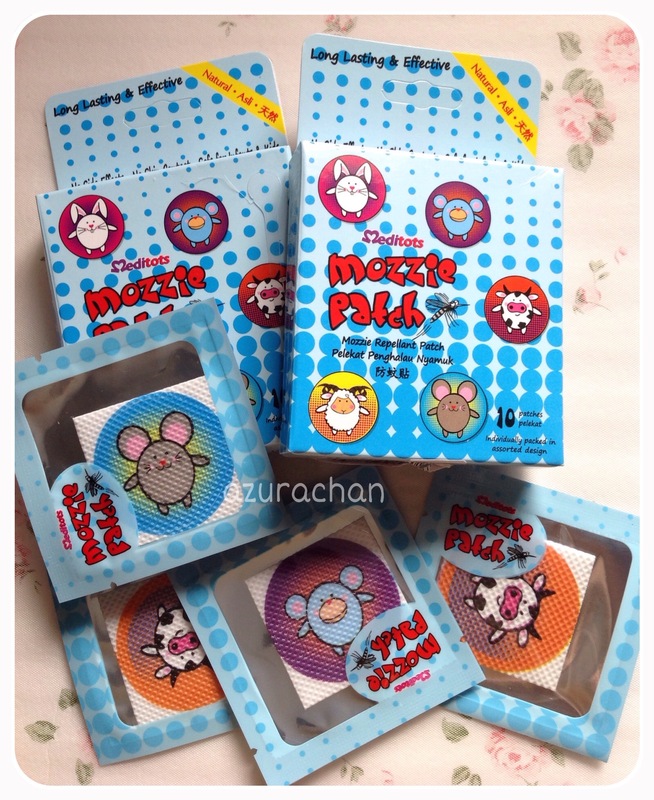 I love the packaging. With this, it wouldn’t ruin my books. Teng tedeng!!! That’s our drugs. 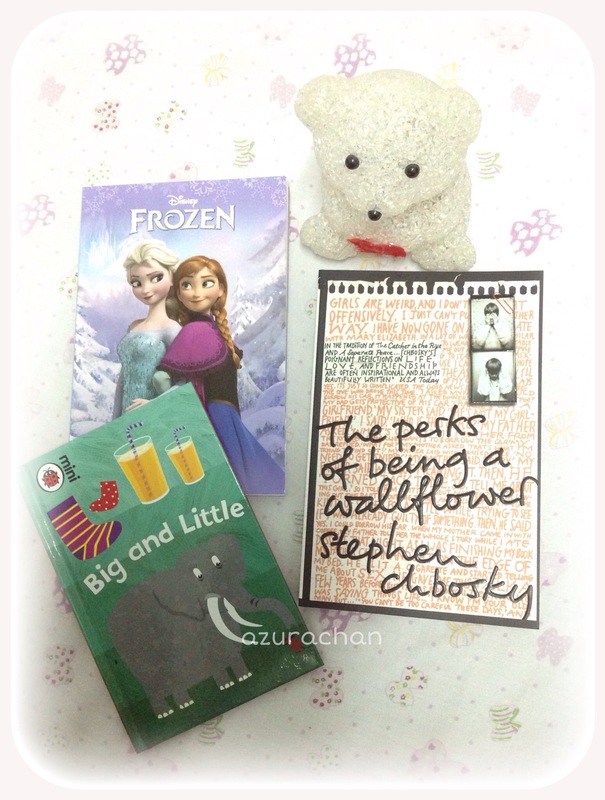 Bought one fiction book for myself and two children books for Amani. 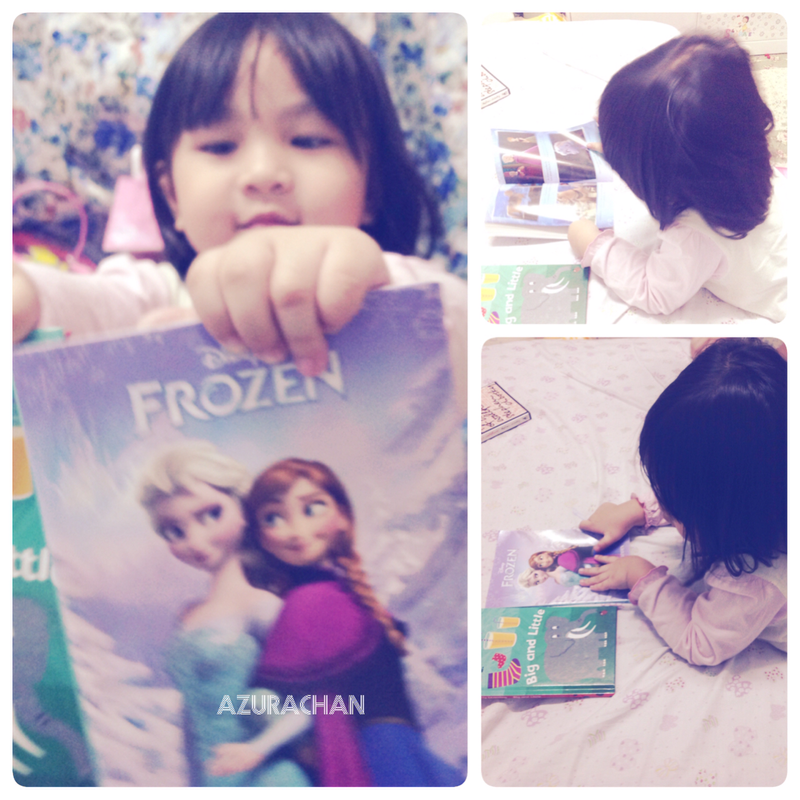 The moment after I unwrapped the package, she saw the Frozen book and she gets very excited! Another birthday gifts for her. 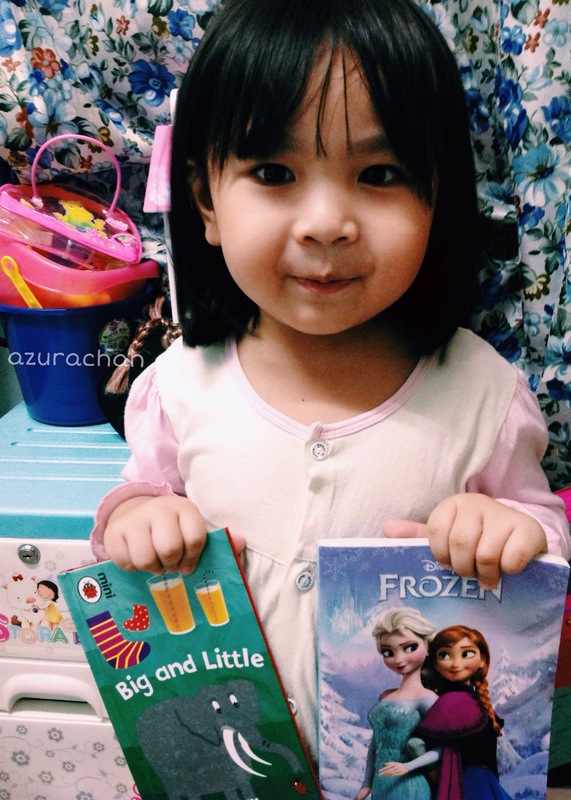 Hopefully she will become a book junkie like her Mama. hehe. So that I will have a loyal companion to go the book fair in future. Lol! p/s: Somebody please tell me about the NoQ status. Are they closing for good? So sad to hear the news. I used to love collecting notebooks. I have so many of them, but I didn’t write any on them. Just love to have those fancy books. This is one of them. This book is a birthday gift from my sister. It was my 20th birthday’s. Few years back, and I still keeping it. 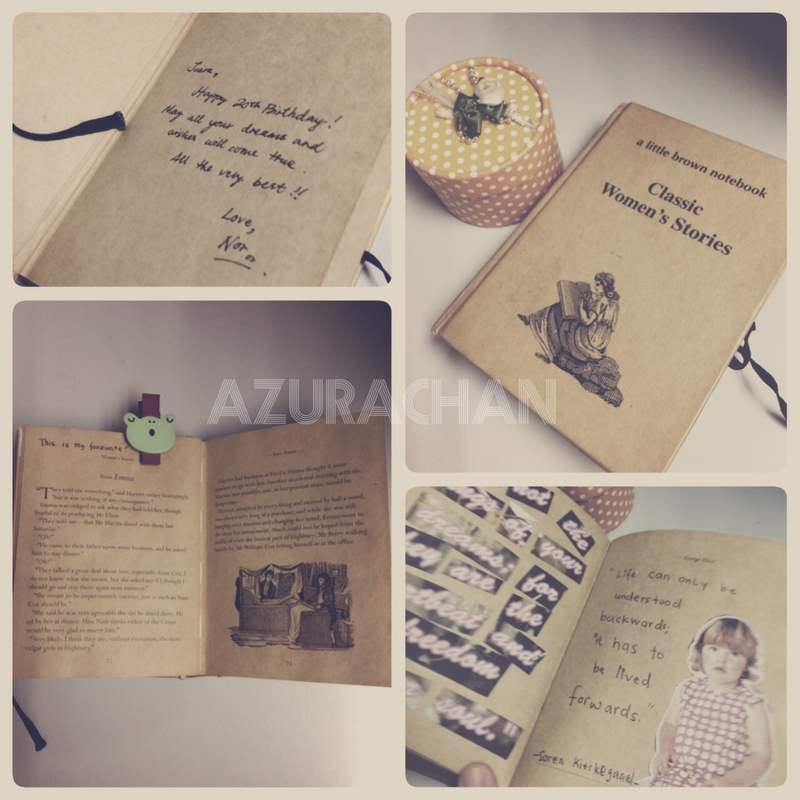 There are some exerpts of Women’s Classic Stories in it. One of them, is my all time favourite from the book of Emma. I also love to quote some nice wordings from books that I read. Instead of highlighting it in the book, I copied them into this book.